Again this week, that same extra early blossom has opened a bit more. It's not what we would call a 5-star blossom either. It is a bit of an outlier in both timing and conformation. I have been looking for information to explain why one blossom on a shrub will open prematurely. If anyone has an answer to this I would appreciate a link. 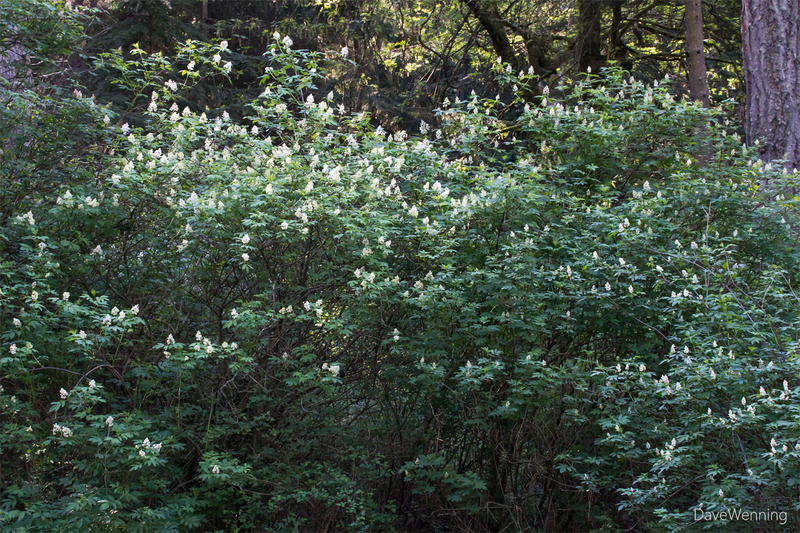 None of its companions in the rhododendron grove are showing any color at all yet. It will be at least another week or two before the buds start to open. Nevertheless, there are plenty of other things going on along the Rhododendron Trail in Deception Pass State Park. 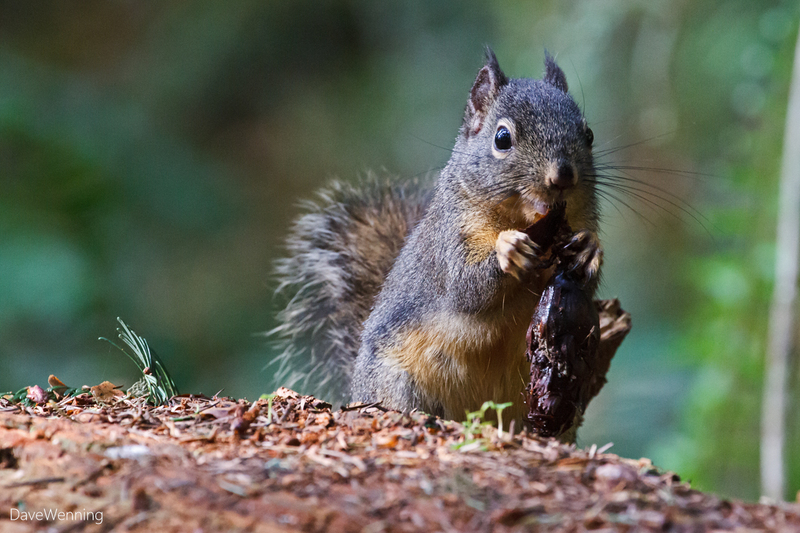 It was a busy morning for Douglas Squirrels (Tamiasciurus douglasii). I spotted two close-up along the Lower Forest and Discovery Trails. 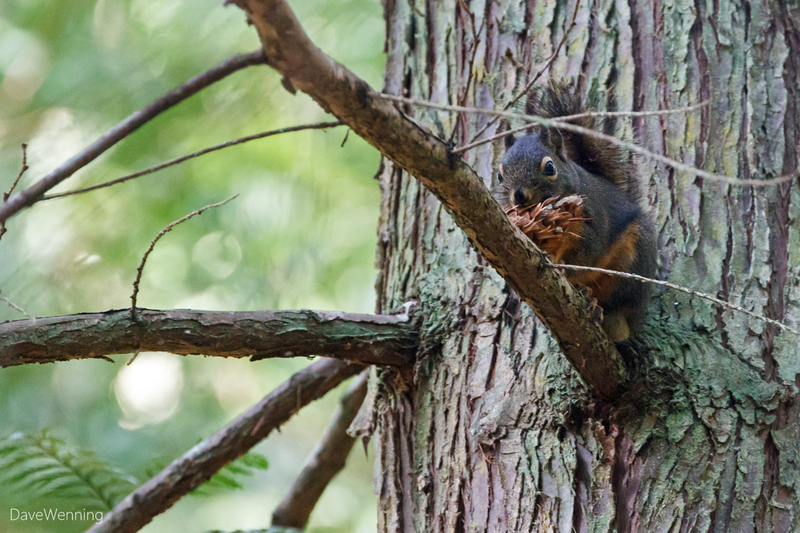 Both were so preoccupied with their Douglas Fir Cone breakfasts, they barely gave me a notice. One by one, they pulled the cone scales off to get to the seed underneath. Like so many things around here, they are named for David Douglas, the Scottish botanist who explored the region in 1824 and again in 1832. Other notable wildlife encounters were just sounds in the distance. Pacific Chorus Frogs (Pseudacris regilla) could be heard from below the North Beach parking lot. There is a pond along the trail to Little North Beach. This time of year, the boy frogs are singing to impress the girl frogs. You can listen to their concerts here and here. Coming from such a small amphibian, their loud voices are amazing to hear en masse. I also heard the calls of Pileated Woodpeckers (Dryocopus pileatus) reverberating in the trees. For me, this sound always brings to mind a prehistoric forest. 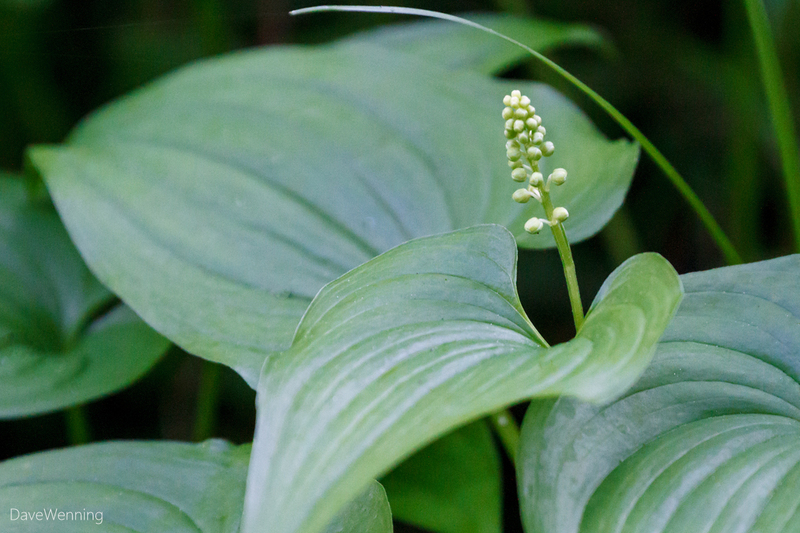 False Lilly-of-the-Valley (Mianthemum dilatatum) is a perennial that dies back every winter. It is now fully emerged and starting to flower. 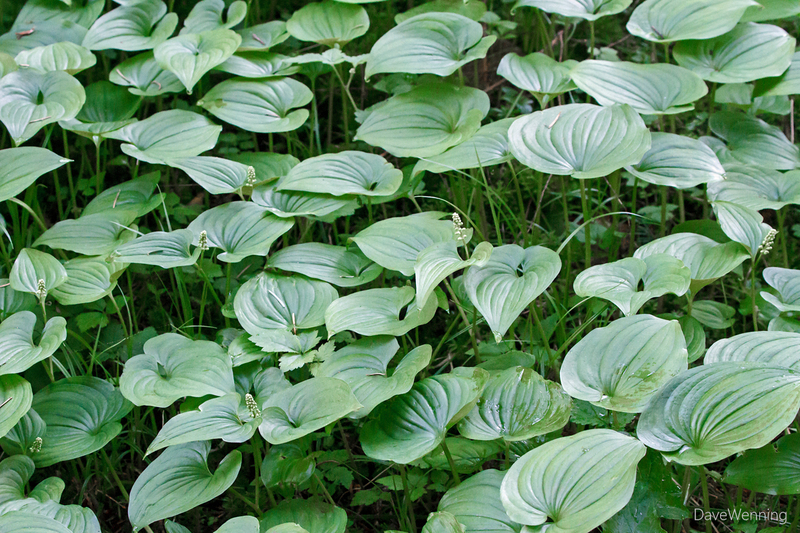 It creates a beautiful groundcover along the trails wherever it is moist and shady. Ferns were particularly noticeable on this hike. 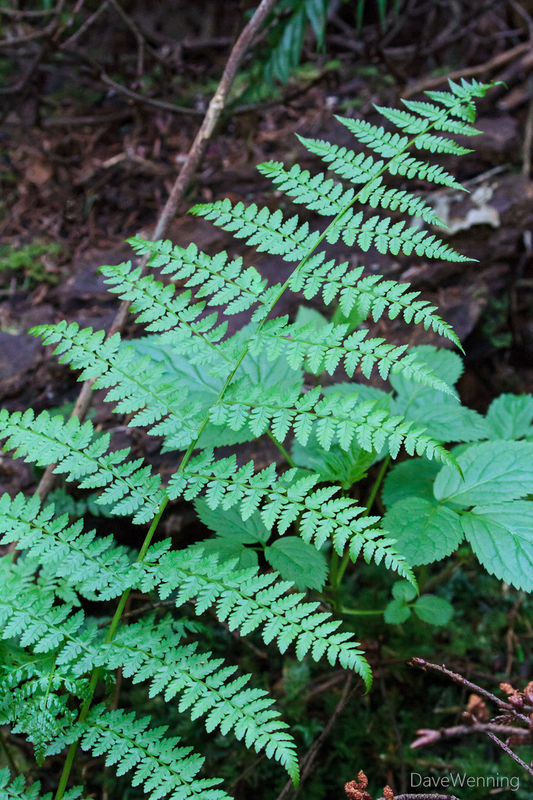 Western Sword Ferns, Lady Ferns, Bracken Ferns and this one, the Wood Fern (Dryopteris sp.) were ubiquitous along the trails. I am not 100% sure, but I think this is Dryopteris expansa the Spreading Wood Fern. 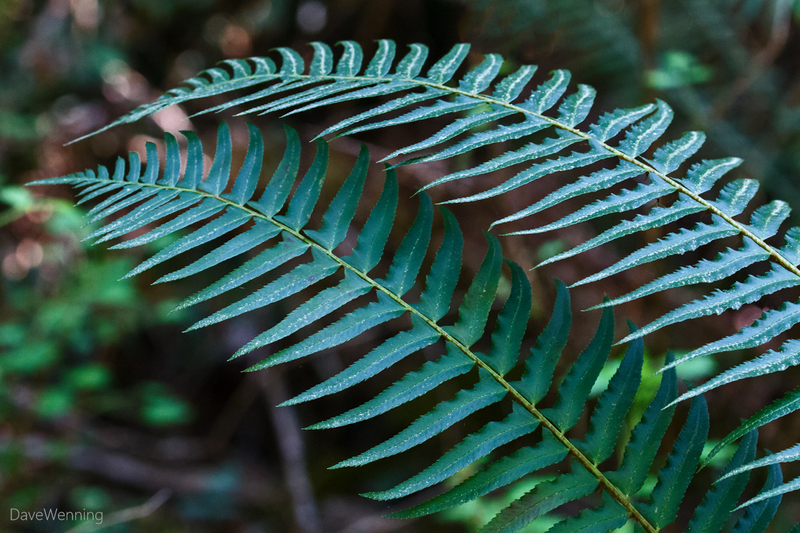 It is called the Spiny Wood Fern in Pojar and MacKinnon. I am going to have to study ferns more since they are so common around here. 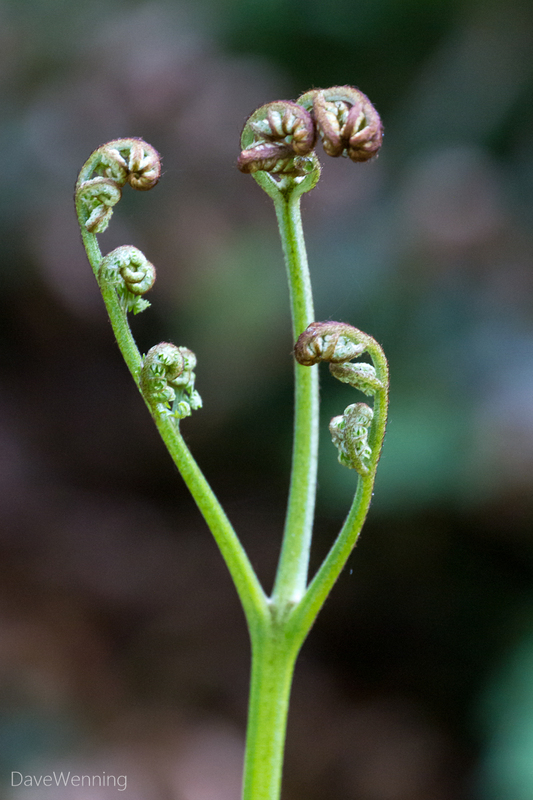 Left: The new shoots or fiddleheads of a Bracken Fern (Pteridium aquilinum). 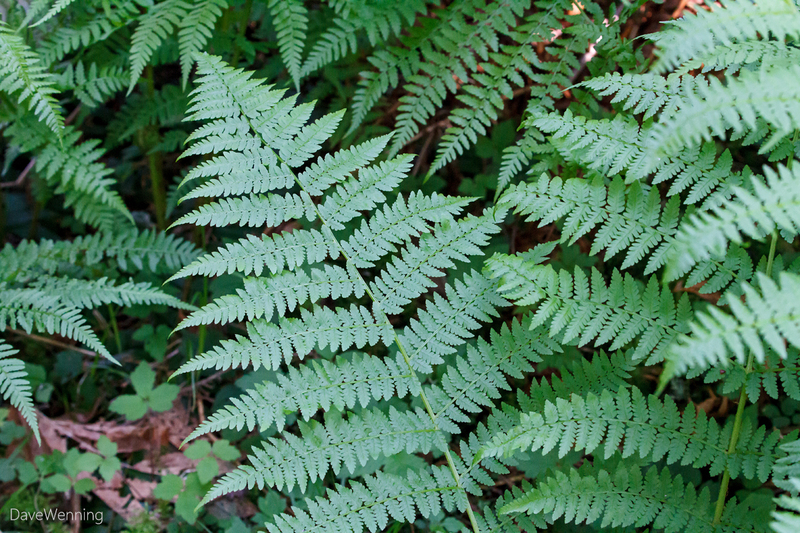 Right: A Wood Fern frond. 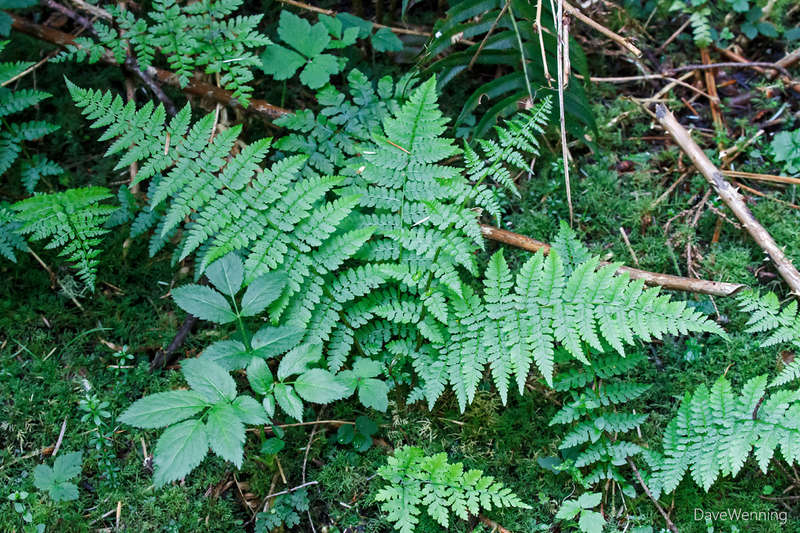 Left: Wood Ferns (Dryopteris sp.). Right: Western Sword Fern (Polystichum munitum). Finally, good old Red Elderberry (Sambucus racemosa) is really putting on a show right now. This huge drift is right next to the North Beach parking lot. Hi DaveyMan, I have added links to Youtube videos in the post so you can hear the Chorus Frog sounds. 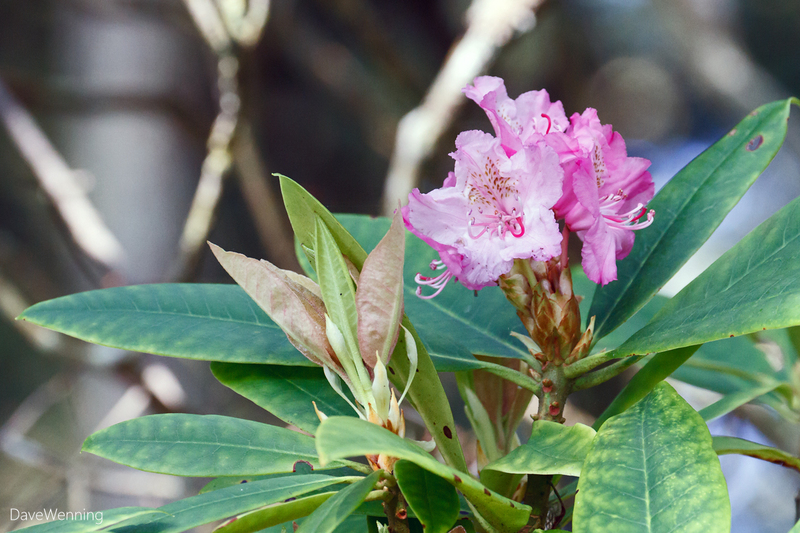 Yes, the rhododendron is our native Pacific Rhododendron but it's anything but invasive (your English Ivy serves that purpose here ;-) ). It grows in just a few isolated pockets in the state, and it's difficult to grow where the conditions are not just right. Thanks for stopping by.